I have known Ina Paarman for over 35 years. I first met her when she was a lecturer at the Cape Technical College. 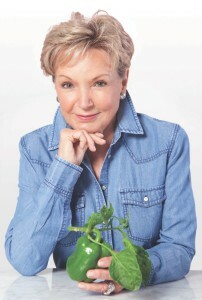 Her enthusiasm for teaching, to showing people the way in its most simple form and providing a whole range of food products which are no sold around the world is a legend in itself. 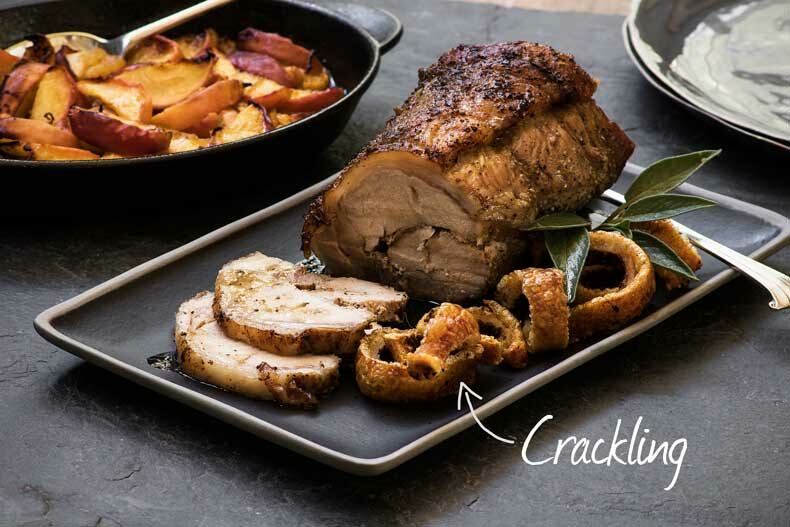 Here is a lovely pork dish with a little fennelly twist and some crispy crackling, which is perfect with the wine recommended below. Thank you dear Ina for the sharing. Adjust the oven rack to one slot below the middle position. Preheat the oven to 160°C. Undo the string around the pork roll. Carefully trim the skin away from the fat on the meat and keep the skin on one side. If using a solid pork loin cut, butterfly it and flatten it out. Spear the roll with sosatie sticks to keep it together. Re-tie the roll (without the skin) with string at intervals. Toss the washed and sliced leeks and fennel with the remaining sage, olive oil and Green Onion Seasoning. Place in a large 30 cm x 20 cm ovenproof dish. Mix hot water and Chicken Stock and pour in on the side of the dish. Position the pork on top of the vegetables. Drape the loose seasoned skin over the meat. Place the roast open in the oven to bake for 2 hours. Lift the skin from the meat and keep on one side. Place the meat on a wooden carving board. Cover with foil, shiny side against the meat. Leave to stand for 20 minutes or longer, to continue a natural slow cook, while finishing off the skin in the oven to the crackling stage, and baking the apples. Increase oven temperature to 200°C. Use a pair of scissors to cut the pork skin into 2 cm wide strips. Place the strips (dry) on a baking sheet. Bake open with the apples (recipe below) until crispy and bubbly in appearance. Slice the meat against the grain into thin slices and serve each person with some meat, a strip of crackling and a helping of Apple Wedges click here for my recipe. If gravy is needed, add 1½ cups of water to the pan, bring to the boil, strain out the vegetables. Return gravy to the pan and thicken it with a little of our Brown Gravy Powder.